Earl Anthony Wayne is policymakers and diplomats of the United States. Previously, he was Ambassador to Argentina and Deputy Ambassador to Afghanistan. 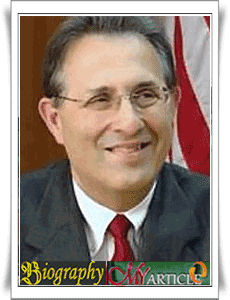 Wayne became an Ambassador to Mexico since being appointed by President Obama in 2011. Earl Anthony Wayne was born in Sacramento, California in 1950 and grew up in nearby Concord. He graduated from high school in 1968 and earned a Bachelor's degree in political science from the University of California, Berkeley in 1972. A Master's degree in political science he obtained from Stanford University (1973) and Princeton University (1975), and a Master's degree in public administration from Harvard University (1984). Career his diplomatic he since 1975, he first sent abroad as a political officer in Rabat, Morocco, after previously serving as an analyst on China's Bureau of Intelligence and research at the State Department in Washington, DC. Wayne then took time off and work as a national security correspondent for the Christian Science Monitor for two years. He returned to the foreign service as Director of Regional Affairs for the U.s. Ambassador for Counter-terrorism from 1989 to 1991, a period marked by the Gulf war as well as expanding cooperation CT with countries of the former Warsaw Pact. In 2006, President George w. Bush Nominates Wayne became Ambassador to Argentina, and he surrendered his credentials as Ambassador to Foreign Minister Jorge Taiana on November 6 of that year. Wayne managed to work closely with NGOS in Argentina, some legislators and officials, Argentina to push for laws and practices to combat trafficking in human beings, especially women and children. He also has received The award of the Department of State's Distinguished Honor Award and the Presidential Distinguished Service and Meritorious Service Awards. On May 24, 2011, President Obama proposed the nomination of Wayne to be the United States Ambassador in Mexico. Wayne was unanimously confirmed by the United States Senate on August 2, and presented his credentials to President Felipe Calderon on September 13, 2011.